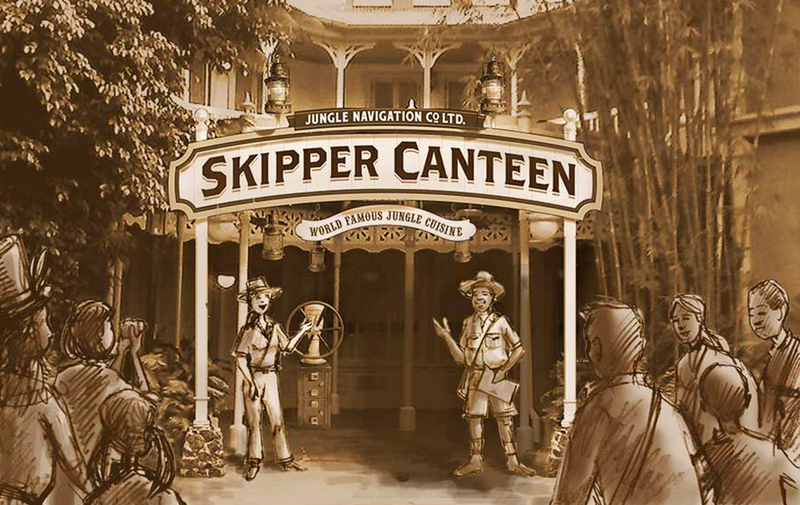 The Jungle Navigation Co., Ltd. Skipper Canteen's interior comprises three themed dining areas: The Crew's Mess Hall, The Jungle Room, and the S.E.A Room. This is a table service experience, and the wait staff are dressed in the same outfits as the Jungle Cruise skippers. 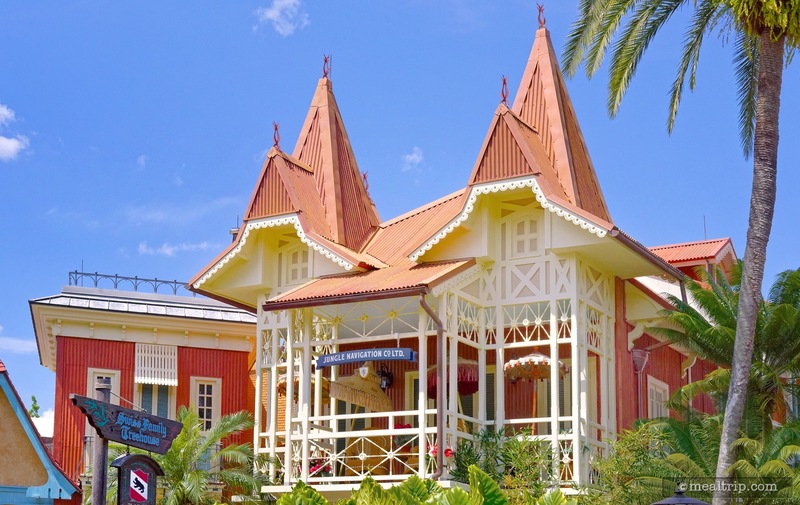 The cuisine is said to be exotic, taking cues from Asia, South America, and Africa. For the moment, the lunch and dinner menus are the same and only "same day" reservations are available. 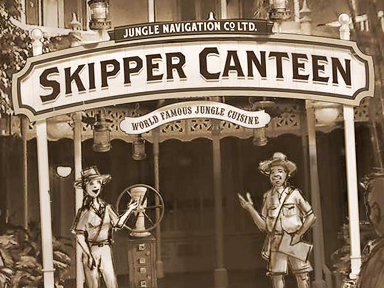 The restaurant itself is well decorated keeping to the theme of the Jungle Cruise attraction, and the wait staff have their banter of jokes and puns. However, after the fourth or fifth pun my amusement had waned. My dinner was Skip's Mac and Cheese - a Bechamel macaroni and cheese. The description mentions spiced ground beef, pasta and Bechamel Sauce; sounds wonderful. Turned out to be beefaroni (tomato sauce not mentioned in description) with a slight drizzle of Bechamel. $19 for beefaroni - no thanks. My guest ordered the "A Lot At Steak" salad which she didn't realize what would be at steak were her taste buds, tongue and digestive track. The dressing was so hot, and so was that at another table, that my guest sent the meal back. This salad was $18. The experience in seeing the various dining rooms and decor was fun, but unless the menu changes, this probably isn't a repeat restaurant for me.